Computer designed, RIGHT HAND DRIVE, all glass and metal replacement headlamp lens-reflector units for replacement or upgrade from old sealed beams. Precisely engineered optics for maximum low and high beam coverage and reach. These lamps use replaceable quartz halogen H4 (P43T)type bulbs. Don't see what you need? 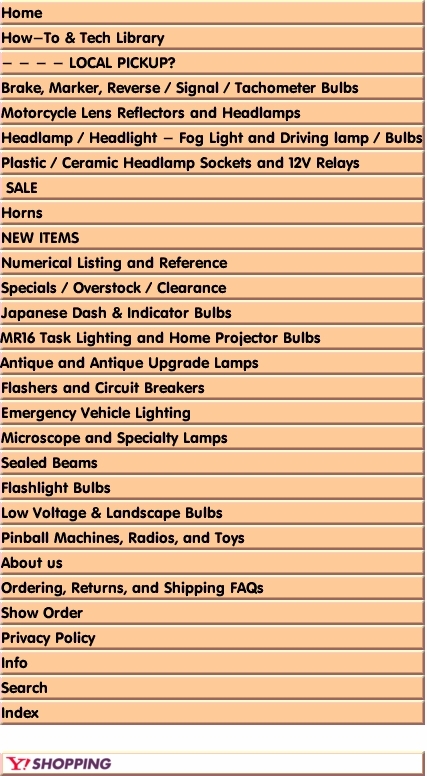 Please Search our Numerical Listing. $29.00, 2/$50.00 4454 Par36 12V 60/60W Motorcycle Sealed Beam Headlamp- ON SALE !!! $14.00 Rubber Gasket for 5 3/4 Lamp Buckets - ON SALE!